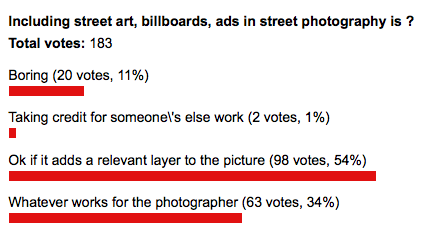 This week’s poll looks at ads, billboard and street art in street photography. How do you feel about it, is it ok to use them in juxtapositions ? I think it is alright as long as related with the photo itself. Very much depends on context – too often an advertisers message will intrude upon what the photographer is trying to show. I try to minimise such distractions. 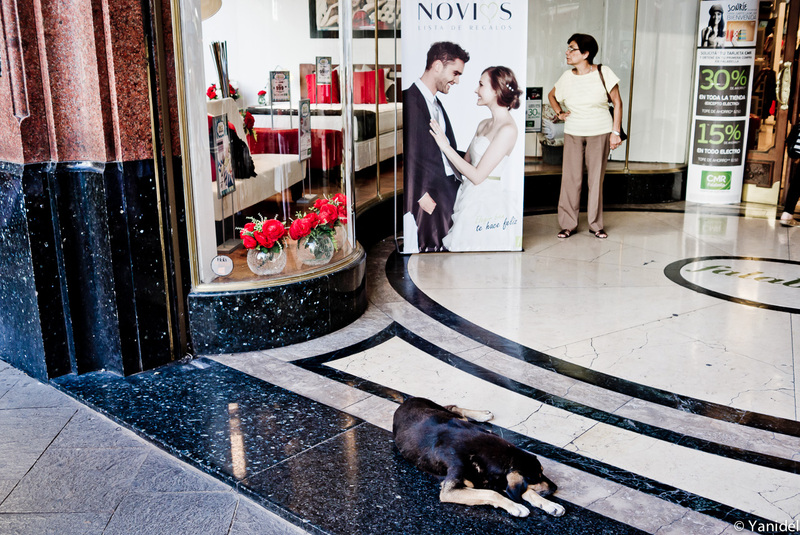 However It can work well when the photographer 'colludes' his subject with a display.